I remember the first time I got a serious virus on my computer. Out of the blue one day my computer began to malfunction horribly. Many programs wouldn’t run. I could not search for anything on the internet because pop-ups would cascade all over my screen. The virus wreaked havoc on my computer and took hours to cure. It was a miserable experience that was completely avoidable. 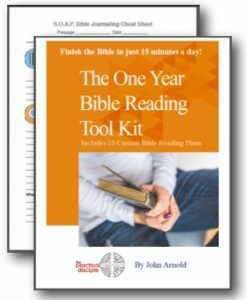 When I first started reading the Bible my sole focus was to read the entire Bible in a year. That’s not uncommon. In fact, I bet some of you are doing so as a New Year’s resolution. 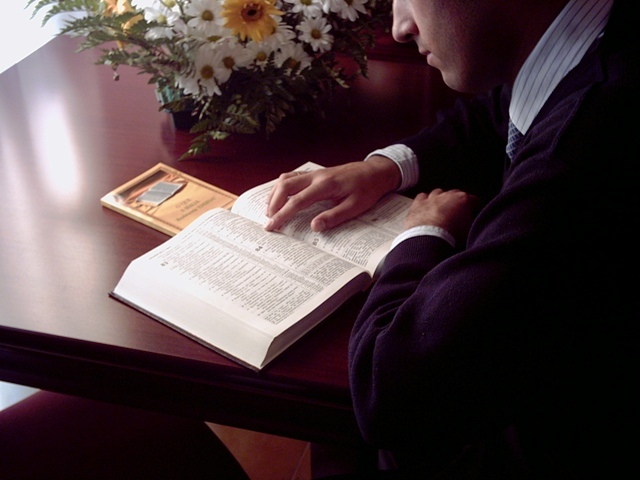 Once you read the Bible and familiarized yourself with the big picture, studying individual books of the Bible can be rewarding. Yesterday was Cyber Monday and a lot of people are in gift buying mode for Christmas. Given the season, I thought it might be nice to slow down and consider gifts we can give as Christians to share our faith or help other people grow in faith. So today’s episode is all about gifts. 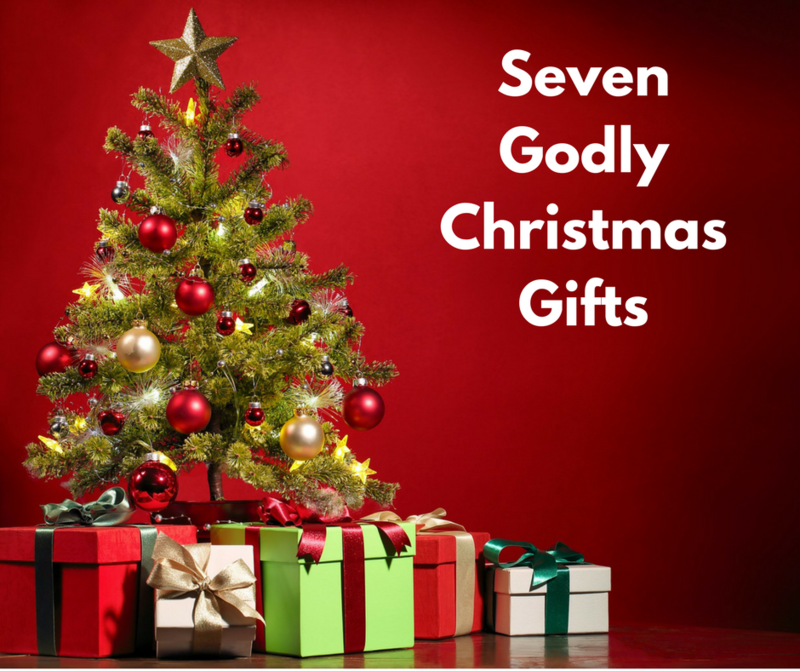 In the podcast I discuss seven different types of godly gifts and the unique merits each offers. Below are some of the key take-aways. I’m celebrating Black Friday through Cyber Monday with a sweet deal! As many of you know for the past week I’ve offered a free video class online called, “Secrets to Praying More Everyday, Even if You are Insanely Busy.” The response has been amazing. People made leaps forward in their prayer life because someone (me) gave them step-by-step help. 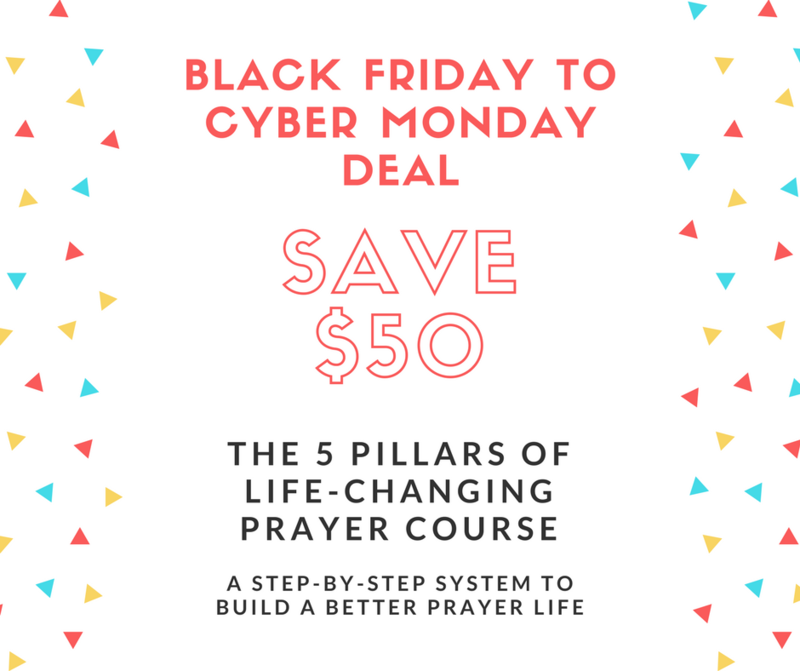 That mini-course which rapidly helped many people start praying more is just the tip of the iceberg of what I have for those who are ready for more. In the first part of this two part series on stopping recurring sin we looked at the five elements of repentance and five prayers we can engage in to spiritually attack our sinful desire. If you didn’t listen to that, it was episode 11.